The weather in Nevada is as close to sunny year-round as many will get, and this makes it a great place to skateboard. Clear weather makes the skate parks in Nevada some of the best around because they are open all year with very little down time. 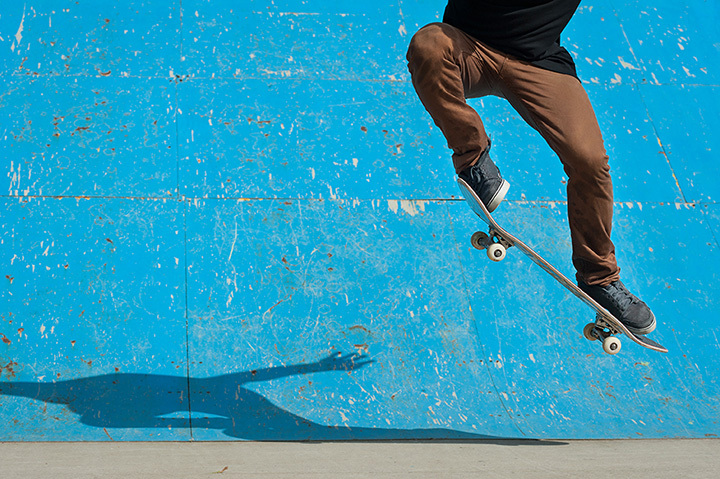 Explore our 10 favorite skate parks in Nevada. Built by California Skate Parks, this park has something for everyone. The main design is steel based with a solid framework for both big air on the bowl to a street side experience you normally only see on the street. The cost to use the park is a bargain at $3, and the park is well maintained. There is also stadium seating all around so friends can come to watch as well. This is a county park so it will be closed on Sundays and some holidays. With over 26,000-square-feet of skating space, this outdoor park is a great size to test out a few new tricks or practice some old ones. Located in Henderson, Nevada, this park is a good fit for a full range of skills and ages since there are both larger bowls with steep banks and smaller parts of the park great for beginners. As with most parts of Nevada, helmets are required. When compared to the Las Vegas parks, this set up is fairly small but it's unique because of it's location in Reno. It's the best the city has as far as safe and legal boarding, keep in mind helmets and pads are required. The bowls are on the small side so it may not be a big challenge for more advanced riders but fun for general use. Intermediate to advanced elements make this park a must see for skating enthusiasts. The park even offers some shaded elements if the sun get too much or if skaters prefer waiting till the sun goes down the park lights up with timed lights to accommodate skating without direct sun. This park has even been featured on Tony Hawk Tour and has several rinks for extreme street hockey as well. This family-friendly park in Henderson is great for families with younger kids who skateboard or skateboarding parents because there is something for every member of the family. It is more open to families than most of the other skate areas so this is a welcome change as every family member can enjoy the covered dining areas or play areas next to the skate park. As far as the skate set up goes, the park is for beginning to mid-range skaters so someone with a higher level of skill may not see much of a challenge in the well maintained park. With 40,000 square feet of recreational skating area, this park in Reno has a bit of everything. The expansive structure includes a variety of bowls, street like features and plenty of rails. Given the location outside of Reno at a state park and not a county or private facility this park tends to be pretty wide open as far as crowds go. The benefit of having it at a state run park is that is well maintained and safe for all ages with the standard helmet and pad requirements. A hidden gem in the suburbs of Henderson, this park is a bit on the small side but if offers big fun for beginners without the overwhelming crowds of some bigger parks. It is also well fenced to keep everyone safe and equipped with the standard mix of street like features, rails and some shallow bowls. While it may not be the most challenging of courses, it does offer a good workout for new skaters. There are also lights on hour long timers for skating after the sun goes down to avoid the heat of direct sun. This park has something many others do not have, an attached water feature that is perfect for a break to cool off during the summer months. The lay out is pretty standard for easy to mid level parks, but the added features of a cool down spot make this a great summer spot. The fact that is also has a wide variety of extras like the splash pads, hiking trails and family recreational activities make it an easy to use park for most families. The programming at Winchester Park is what sets it apart. This is a supervised park with a focus on learning and exploring the associated culture in a safe environment. It is a great place to learn new skills or start out as a new skater but does not offer the freedom many long time skaters may expect. The classes available are for ages eight to adults and are fee based. The park is well maintained with a very limited number of users so it is a supportive environment to learn skating from some seasoned skaters. The park even offers skate teams as well. While a senior center may seem like an odd location for a skate park, in this case it actually works! The park is one of the must under utilized skate areas in the city and very family friendly. The entire complex, which includes the senior center and outdoor rec areas, is well maintained and pretty wide open as far as being easy to use. The park features a well designed course that more times than not is almost empty. If you enjoy skating alone to get into your own head for a break from things this is the place to go.